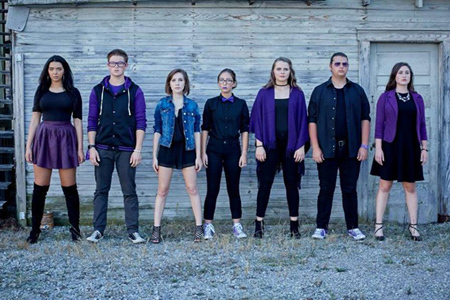 We are a 16 piece vocal group made up of 9th - 12th graders. We sing Vocal Jazz (Songs by New York Voices, Kerry Marsh, Duke Ellington and many more. We have received high awards at Folsom Jazz Festival, Santa Cruz Jazz Festival and Reno Jazz Festival. Yes we are. Formed in 2012, we have been performing original covers of everything from classic rock hits to contemporary pop tunes. As a 13 person a cappella group, we achieve a unique sound by fusing new and old music in sophisticated arrangements. We strive to bring joy to our audience and hope to share our Aca-love of singing to everyone within earshot! Hip. Imaginative. Fun. Fresh. Funky Fresh. 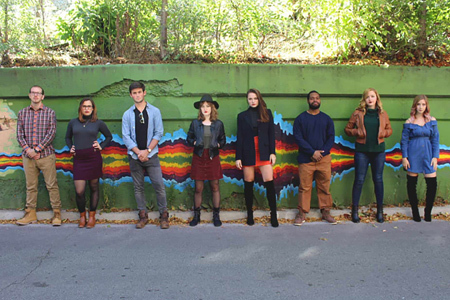 Side Note is a group of seven twentysomethings, from wildly different musical backgrounds, who draw draw their diversity to create an all-new sound. It's contemporary a cappella - pushed to the limits of pop, R&B, funk, rock, musical theater and jazz. Get ready for some buzzin' beats, rockin' riffs and hot harmonies as Side Note delivers a show unlike nearly anything else in vocal music! Halfway to Midnight is a co-ed band of musical misfits who, having missed the thrill of the a cappella world and desiring an outlet to strengthen our individual instruments, serendipitously found each other in the midst of the great big beautiful Bay Area and begun gathering weekly to share in the blend of our voices together. Our life stories are as varied as our voices yet we find common ground in our love of instrument-free music-making and we truly hope you like what you hear. 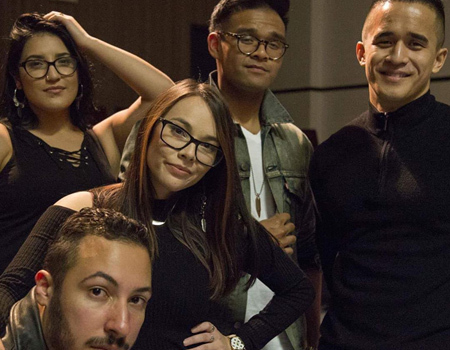 This 5-person Bay Area vocal band culminates their individual influences of jazz, funk, gospel, and electronica to create an eclectic, powerhouse pop a cappella sound and ultimately, spread love and positivity through their music. Beyond Zebra is a newly formed a cappella group who enjoys expressing unique, intricate arrangements with heartfelt emotion. Like the Dr. Seuss book On Beyond Zebra about an alphabet beyond Z, the music of Beyond Zebra takes audiences beyond what they might know and expect. When you go Beyond Zebra, who knows what wonderful things you might hear? Woven was founded as a community of people who love to sing. We believe music has the power to inspire, cross boundaries and bring people together. We strive to create a space where every voice has value and to sing songs that reflect our members' experiences. Each song we sing is brought to the group by one of our members because it carries with it a personal connection, story, or emotion that moves them. Through the music we sing, we hope to give voice to these experiences and foster community between ourselves and others. AVE, the highest level ensemble within the Central Coast Children’s Choir, placed third in the 2017 Los Angeles Harmony Sweepstakes and was awarded audience favorite. CCCC affords the youth of San Luis Obispo county the joyful experience of singing together in live choral performances. The after-school program provides weekly rehearsals, which include musicianship and vocal training. Repertoire is varied and includes songs from world music to established choral classics to contemporary, popular styles. CCCC singers represented California in National and Western State honor choirs in Las Vegas, New York, Eugene, Honolulu, Chicago, Salt Lake City, Dallas and Florida. 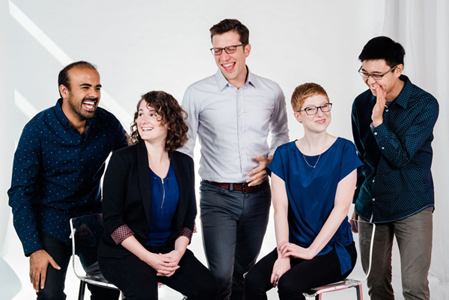 Formed in 2013, Sound Off is an award-winning semi-professional a cappella group based in Boston, MA and proud member of the Contemporary A cappella League (CAL). We are young men and women from all different career fields brought together by an unabashed love for a cappella music and performance. 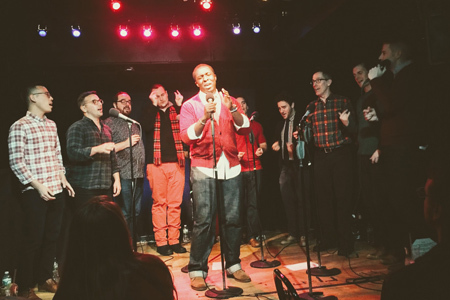 While we perform regularly around the Greater Boston area, Sound Off continues to develop a diverse repertoire of modern pop with a soulful twist. 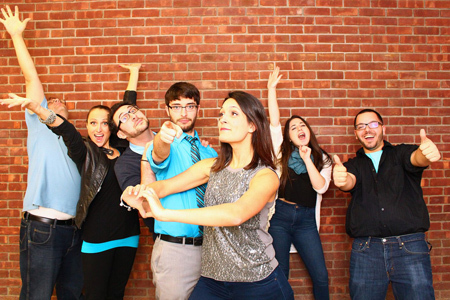 The Mass Whole Notes are a semi-professional contemporary a cappella group, based in Somerville, Massachusetts. We have a modern sound that can also rock the classics with some style. The Mass Wholes are made of a diverse, zany, and individually unique group of fun-loving goofballs with a soft spot for making music with our mouths. The Mass Wholes also have a large range of a cappella renditions of everything from Paramore to Chance the Rapper. We are four guys in our mid 20's who are passionate about barbershop. 4ManTent came together with a love for harmony and has been making music together since the winter of 2017. Our members have sung together in other contemporary groups including Bostonality and Fermata Town but decided to reunite as a quartet so we can share our love for barbershop with you! 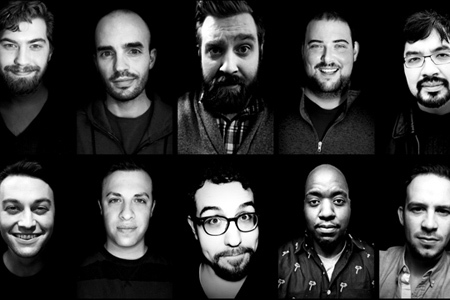 Blacklight is a Salem/Boston based, high energy, beatbox heavy a cappella group made of 6 energetic, multi talented musicians and a cappella enthusiasts. Our aim is to bring a cappella fully into the 21st century, where the audience's experience is the most important. We want our audience to get on their feet. Daily Special is a barbershop quartet based in southern New England, and although they came together less than a year ago, they are quickly rising in the ranks of competitive barbershop. 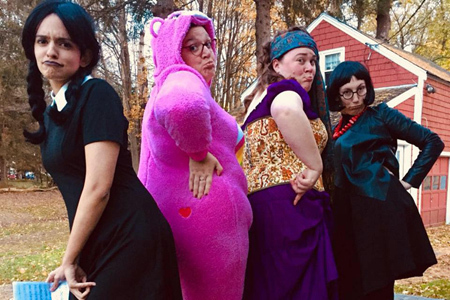 They love to bring silliness, authenticity, energy, and sincerity to every performance, connecting with audiences of all kinds. 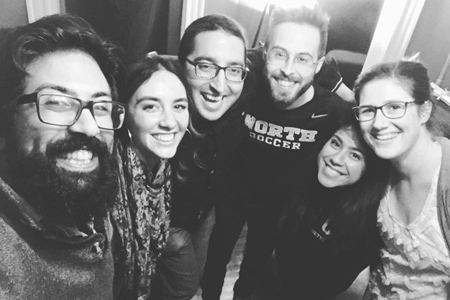 Friendship is at the core of their music-making and mission--and they love making new friends wherever they sing. 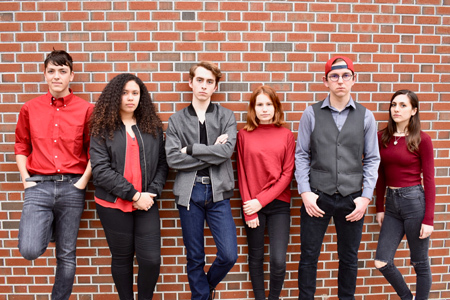 Deception is Danvers High School's 6-Person A Cappella group comprised of students from grades 10-12. 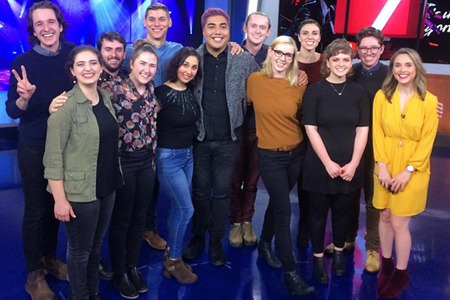 Singers in Deception are also members of the school's larger, award-winning a cappella groups, Falconize and Ingrid Sound. 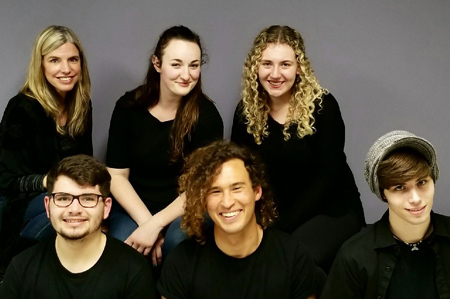 Deception primarily performs current hits for school concerts, and just recently released three songs on the Danvers High School A Cappella album “Structure,” recorded with The Vocal Company. 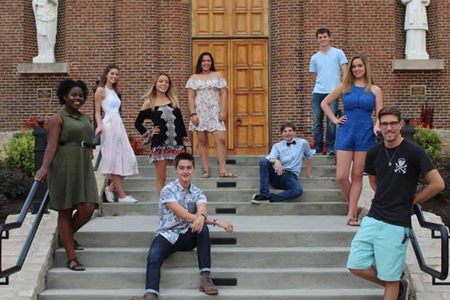 Remedy comes from different ends of Ohio to form the University of Dayton's first a cappella group. When they are not captivating their audience, Remedy enjoys spending time together as a group. From many walks of life and representing a vast number of majors, the group discovered camaraderie and harmony instantly. Remedy hopes to entertain and captivate the audience with their memorable performances. 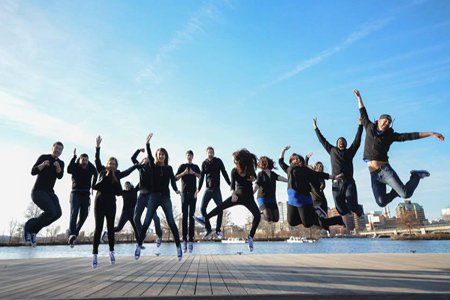 Counterpoint is Loyola University Chicago’s premier competitive co-ed acapella group! We personally arrange and energetically perform a diverse range of music to feature at our concerts, competitions, and throughout the city of Chicago! We provide not only a creative musical outlet for members and listeners, but take pride in sharing ourselves with our city! 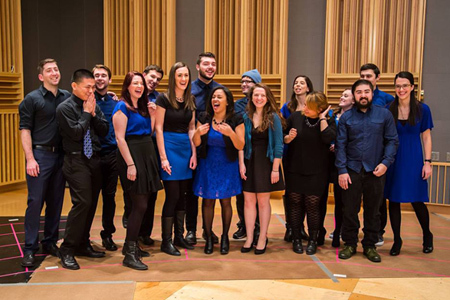 Vocal Chaos is an award-winning a cappella group from right here in Chicago! They have been making incredible music all over the Windy City since 1996, from Soldier Field and Cellular Field to Chicago Public Radio. They can also be heard singing a cappella in the Jennifer Aniston/Vince Vaughn movie "The Break Up". 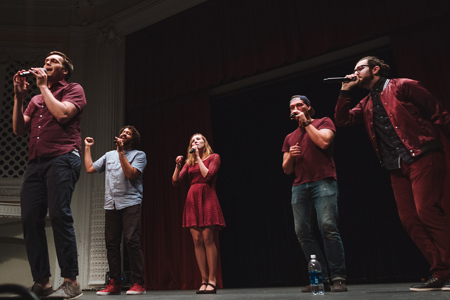 To foster collaboration and promote the art form of a cappella, they founded ACappellaFest, which in its eighth year has grown into the Midwest's largest a cappella festival. Vocal Chaos is thrilled to be back at the Harmony Sweepstakes. Look for their new EP to drop later this year! We are Due North. 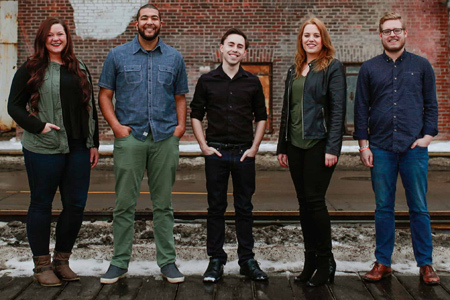 Hailing from the Twin Cities area, Due North is one of the Midwest's newest a cappella ensembles. The name was inspired from Minnesota's formally adopted French motto "L'Etoile du Nord" meaning "Star of the North". Due North prides itself on being the perfect fit for any audience. Whether the setting is calm and mellow, or energized and wild; Due North will bring a refreshing taste to the music you know and love, while adding new songs to file away in your personal playlist. Available for weddings, corporate events, parties, fairs, national anthems; you name it! With a fresh outlook, immense passion, and a vibrant energy - there is only one direction to go - Due North. The Northsiders are Chicago's hippest barbershop quartet. Last year's regional runners-up to eventual national champs The Sound Exchange, The Northsiders are no stranger to the Harmony Sweepstakes stage. They perform traditional and contemporary favorites with a nod to the Rat Pack era. They have finished "on the podium" every time out on the barbershop contest stage. Sit back, sip a martini, and enjoy these cool cats! 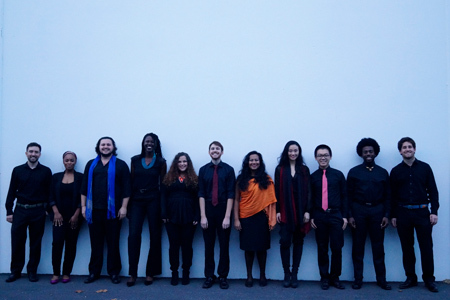 Final Melody Acapella Is A Vocal Acapella Group. 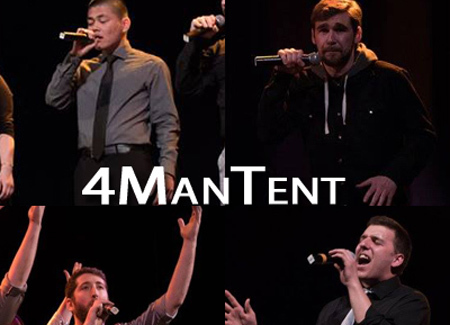 We Consist Of 5 Talented Singers Ranging From Bass To 1st Tenor. Four Out Of The Five Of Us Met In Grammar School And We Met Our Beatboxer From An Online Inquiry. Our Moto That We Live By Throughout All Of Our Performances Is; "Creating Harmony Through Unity." We Believe That By Working Together As A Group And Group Members, We Create Spectacular Acapella Music That's Both Melodic And Vocally Intriguing. 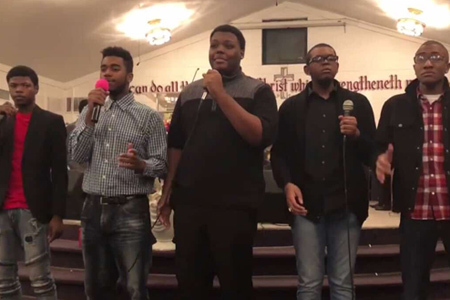 We Have Been A Group Since 2012 And We Enjoy Performing Throughout The Chicagoland Area. We Enjoy Putting Smiles On People's Faces When They Hear Our Sound And We Believe That We Can Empower Other Young Adults To Follow Their Dreams And Instill In Them That With Hard Work And A Great Level Of Dedication, Anything Is Achievable. Over Tones was founded in early 2015 by our fearless musical director, Rachel Zumberge. We perform a mixture of a cappell styles to fit all occasions. Ranging from arrangements of the latest hits, classic rock standards, upbeat jazz tunes and even esoteric choir music, we adapt to our audience and have something fun for everyone. Our 28-person choir features both male and female vocalists whose ages span five decades. Our individual resumes inclue pop/rock bands, musical theatre, award-winning collegiate a cappella, TV acting and studio production. Many of us pursue passions and careers outside of music as well. 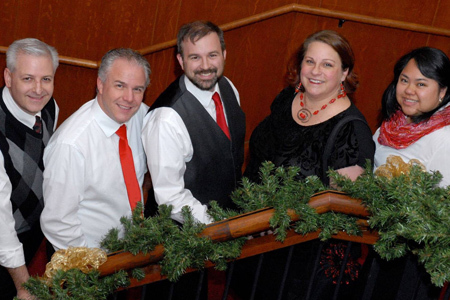 Swing Shift is a vocal jazz mixed ensemble. The group's signature sound is heard in their rich harmonic treatment of pop, jazz, and Broadway standards. 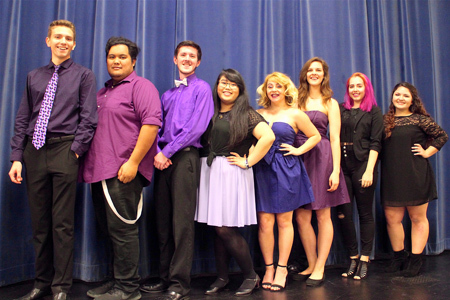 Over the years the group has drawn on local resources like the SMC Vocal Jazz Ensemble from which five of Swing Shift's present roster are current or past members. We are proud that many of Swing Shift's alumni have gone on to advance their careers in prestigious ensembles like the LA Master Chorale and LA Choral Lab. If you love lush sounds, complex harmonies, and creamy-smooth blend, you'll love hearing this group. 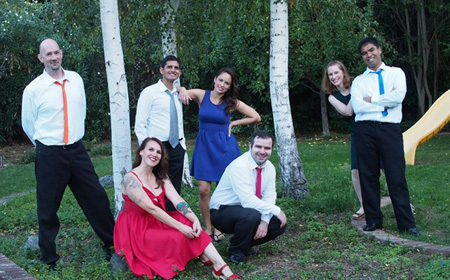 Voxy is a San Diego vocal group, created to deliver a fun a cappella vibe to events in the SoCal region. We like to perform funky fresh jams - songs to entertain for a good time and get you singing and dancing along with us. As a group, Voxy strives to break the mold of contemporary female a cappella by doing our own fun thang and letting nothing hold us back. 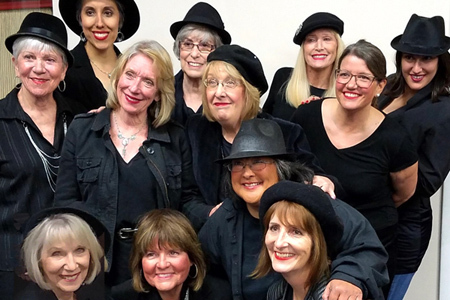 Have Pitchpipe, Will Travel, comprises twelve women, all members of the locally acclaimed and award-winning L.A. South Towns Show Chorus. 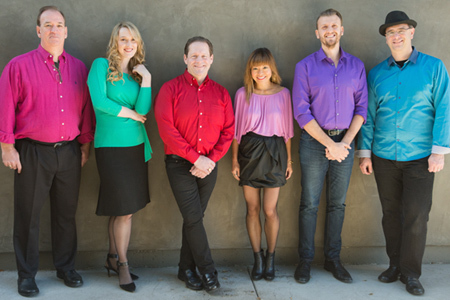 This fun-loving a cappella group entertains audiences throughout the South Bay and beyond with its signature close harmonies, upbeat repertoire and colorful style. King's Post - named after an architectural term - is a contemporary pop and pop-culture a cappella group with jazz and classic rock leanings. Based in Blacksburg, VA, this five person vocal band is wrangled by baritone/VP/eye-roller Jordan Truesdell (Blacksburg), and features Jennifer Nardine (Blacksburg) on soprano/VP/duck quack, Liza Roop (Blacksburg) on mezz-alto/VP/hula moves, Jesse Janowiak (Blacksburg) on high tenor/goofy voices, and Eric Brown on second tenor/baritone/puns (Christiansburg). 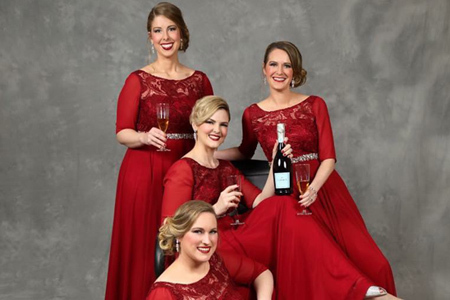 While often overly amused by themselves, King's Post takes pride in the mix of harmony, heart, and humor they bring to the realm of a cappella. The District was formed in Washington, D.C. in late 2012. 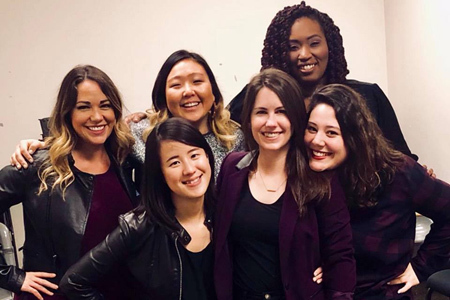 A contemporary all-female a cappella group, The District embodies an empowered, energetic, and versatile sound through an array of pop, rock, country, and R&B covers. 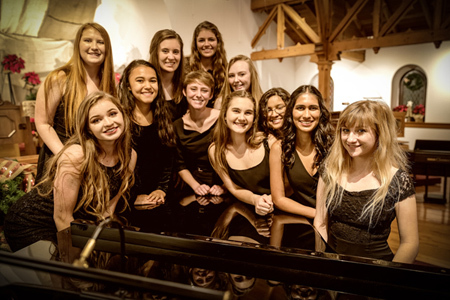 Characterized by complex arrangements, tight harmonies, fierce soloists, and crisp vocal percussion, The District performs throughout the DMV area at fundraisers, community and corporate events, and regional competitions. 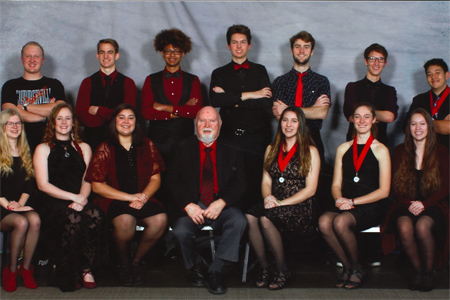 Most recently, The District performed at legendary music hall, The Birchmere, where they placed second and won "Audience Favorite" at the 2018 Harmony Sweepstakes A Cappella Festival. HALO represents the first Barbershop quartet of African American singers to compete on the international stage of a Barbershop organization. We sing a Capella- hip hop and Barbershop. 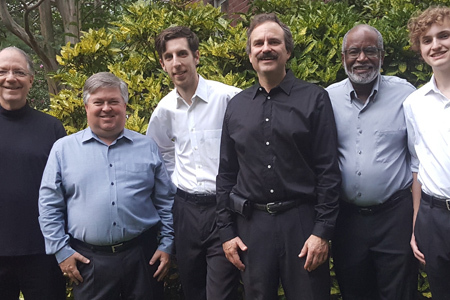 Our quartet also represents our organization HALO, Inc. working to use the Barbershop genre as a framework for our Community Music Therapy initiative using the listening and singing experience of Barbershop music to confront issues of racism in the United States with productive dialogue. 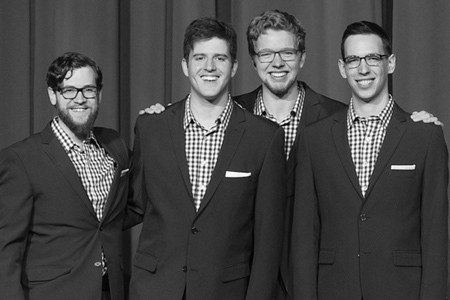 Up All Night is a barbershop quartet associated with the Vienna-Falls Chorus, Sweet Adelines International, & are the current regional champions of Heart of the Blue Ridge of Region 14! 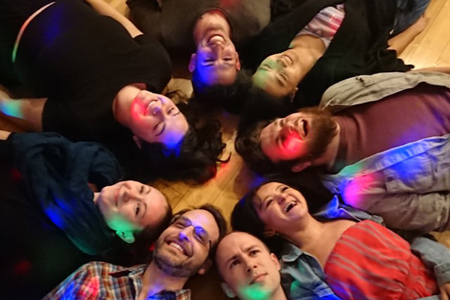 Based in New York City and grounded in harmony, Concrete is a co-ed a cappella group that was founded in 2015 by three friends. Performing anything from pop hits and classic rock to holiday carols, Concrete aims to bring three-part harmony and a fresh unique sound to everything they sing. New York City's Jazz R&B group, Feedback is a group of professional musicians who have been seen and heard by millions around the world -both live and via broadcast. Turning artists like Usher and Jazmine Sullivan on their head, the group pushes the boundaries of both jazz and R&B. Feedback boasts a spellbinding variety of talents: Doug and Garrett make jingles and songs for major corporations; TEDx Beatboxer, Ben Mirin brings the beats, and can also perfectly imitate 50 bird calls; Mike takes helm at a recording studio; Alec arranges choral works, with some seeing performances at Lincoln Center and Carnegie Hall; Sam is a studio singer and professional whistler (which he insists is "actually a thing"). This will be Feedback's 2nd appearance at Harmony Sweeps, and they're pumped about it! 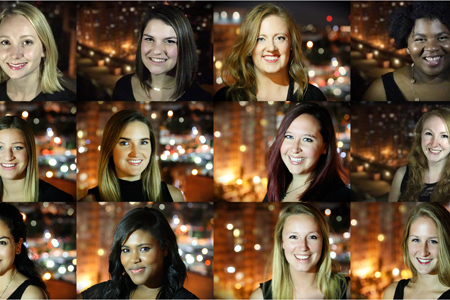 Established in 2015, Mezzo is a all-female a cappella group that has been performing all over the tri-state area. They pride themselves on cool arrangements of contemporary tunes, as well as reinventions of classic hits. To learn more about Mezzo, check out their website at www.mezzonyc.com or follow them on social media @mezzonyc! 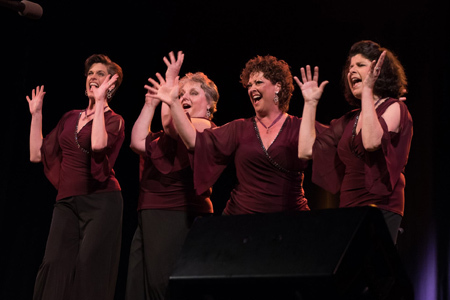 Saffron formed in January 2015 and burst onto the Region 1 Sweet Adelines scene a few months later. In both 2016 and 2017, they won the third place medal in Sweet Adelines International Region 1 Quartet Competition. 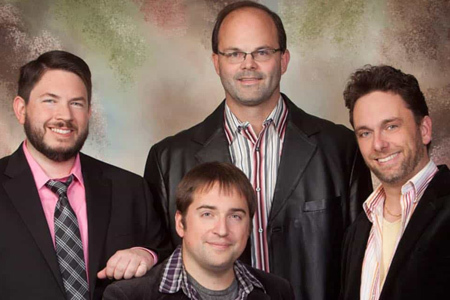 Their repertoire covers an eclectic variety of charts ranging from folk ballads, to toe-tapping jazzy standards, to southern rock melodies, all arranged in classic and tight barbershop chording that is sure to put a tear in your eye and a smile in your heart! 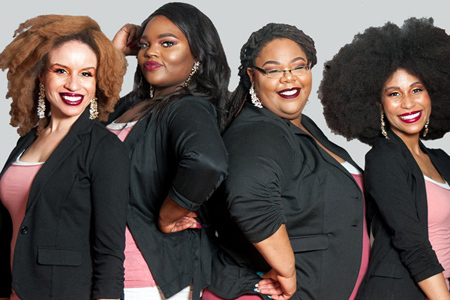 Repeat Offenders is made up of four women who love to laugh, perform, and sing four-part harmony, mostly, in the barbershop style. We got together while singing with the deeply fabulous Sirens of Gotham, and are proud to represent both them and the Harmony Celebration Chorus. Our repeat offenses range from parodying anything and everything, creative lyric delivery, very loud singing, and constant use of phrases like “your mom” and “totes”. While we specialize in the barbershop style (experience ranging from a few years, to more than 10 years, to since birth) we love to sing anything we can find in four parts – and sometimes things we can’t too! Ten and Change began performing in 2001 and has since performed all over NYC, from humble beginnings on the top floor of a member's apartment (with the not-so-humble NYC skyline in the background) to such well-known venues as CBGB, the Knitting Factory, Upright Citizen Brigade Theater, Arlene's Grocery and Crash Mansion. The group has performed the National Anthem at Shea Stadium and Harbor Yard (home of the Bridgeport Bluefish) and frequently entertains in large venues such as Central Park (for NYC Parks & Recreation). See our calendar for a complete listing. Ten and Change also regularly does volunteer concert work at various locales in New York City. 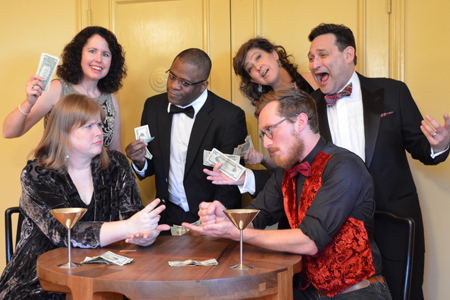 Since the beginning, Ten and Change has entertained its audiences with tight harmonies, side-splitting humor and its hallmark trait -- complete unorganized chaos. 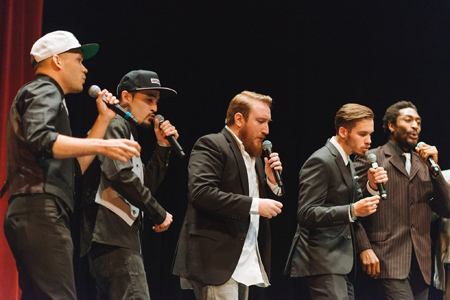 Stumptown Fellas is an all male R&B A Cappella from Portland, OR. They sing anything from Motown classics, 80's & 90's R&B, to songs by artists including Bruno Mars, John Legend, Robin Thicke, and Amy Winehouse. 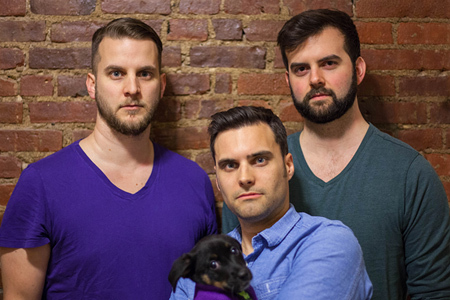 The group was founded by Matt Biller, Aisea Poulivaati, and Daniel Jeppesen back in 2014. 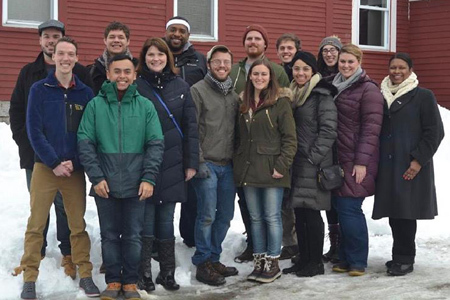 20/20 is a collection of current and former music students from Centra20/20 is a collection of former college friends who have formed a lifelong bond through sharing their love of music. 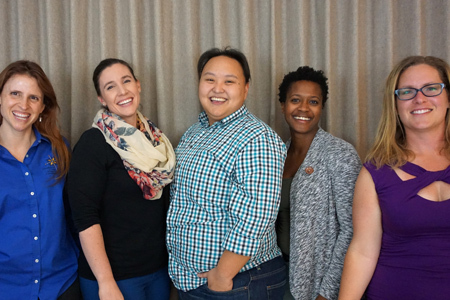 With their skills from music school at hand, the group combined already has decades of performing experience including leading opera roles, national festival performances, and professional choral recording sessions. 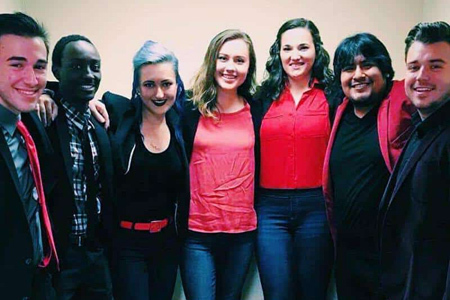 Since graduating from Central Washington University they have all taken different career paths but still find time to come together in order to pursue musical excellence and share their passion for performing as 20/20. 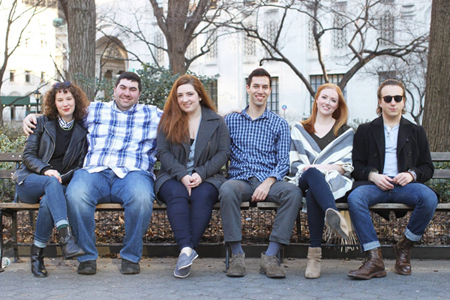 Established in 2015, B-Side Book Club A Cappella emerged from a group of close-knit friends who all shared a love for singing. 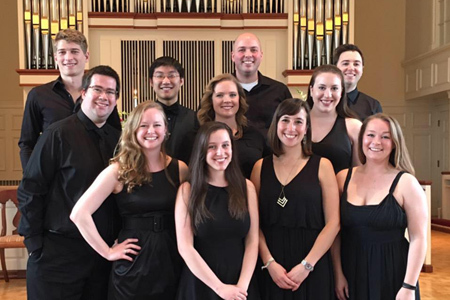 All of the group members participated in collegiate A Cappella during their undergrad and wanted to continue singing together beyond graduation. 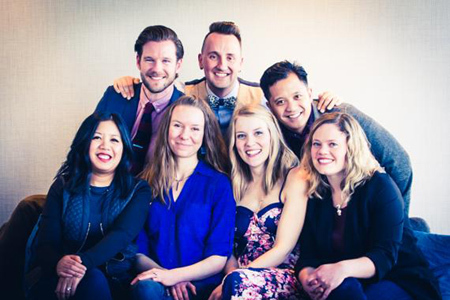 Altra Volta is a 7-voice a cappella vocal ensemble founded in 1998, from Calgary, Canada. 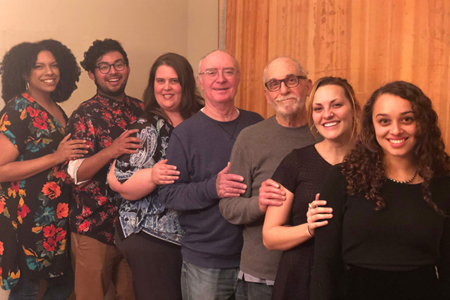 A creative community comprised of talented singers, arrangers and songwriters, the group's diverse repertoire includes classical choral, vocal jazz and pop music. In recent years the group has gone from performing published works to also creating arrangements and original songs of their own, exploring the many facets of the human voice to emulate various musical instruments. In addition to their own concerts, Altra Volta has performed for weddings and other special events around the city. 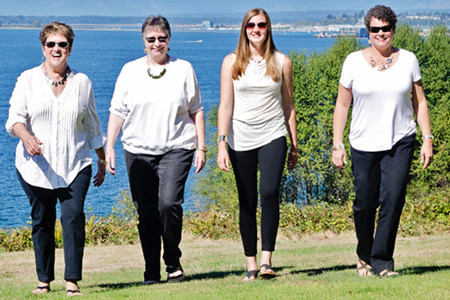 S'Pacific Sounds is an elite group of ladies from the Pacific Sound Chorus in Bellevue, WA. 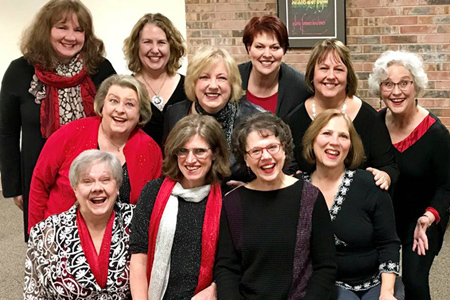 This subset group of the chorus features exceptional singers and energetic performers, and they augment the chorus's shows with their expanded and varied repertoire. 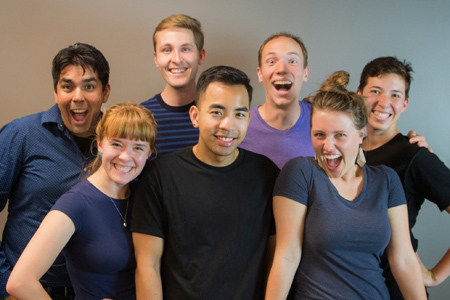 Their goal is to be able to continue to expand each individual's performing skills while bringing their style of a cappella music to audiences! They are so thrilled to be able to perform tonight in this competition. They hope the audience has as much fun as they do!